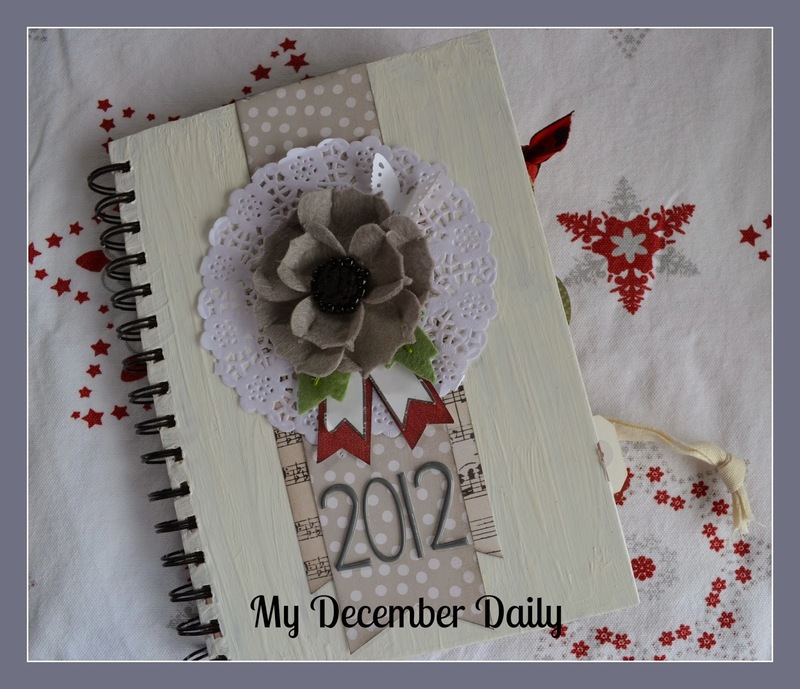 I am thrilled to put the finishing touches to my December Daily from 2012! My intention is to display it every Christmas on the coffee table. It is a converted notebook, painted in acrylic white with ModPodge smeared over the top. I used pretty papers and a Prima flower to decorate the cover. Here are a selection of my favourite pages. The majority of papers are from Fancy Pants Designs Saint Nick 6x6 scrap pad. I used embellishments from various sources including general craft items, from Studio Calico kits I subscibe to and scraps of paper floating around my desk. What fabulous memories this book captures! I am not at all up-to-date with my photos so it is great to have fairly recent memories scrapped. I am starting my DD for 2013.